SUDZZfx is a science driven, fashion focused system of high quality blends that have been crafted to protect, nourish, reconstruct hair, and allow for limitless expression. Every blend has been skillfully formulated and artfully designed to allow you the creative freedom and unlimited customization of your client’s look, coupled with cutting edge, innovative science that treats and protects the canvas you artfully design upon…hair. Some people need protein while others need extra moisture for healthy hair. 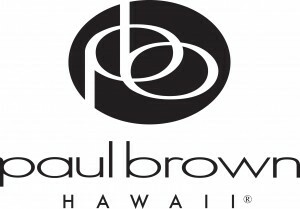 Paul Brown Hawaii is the rare brand that offers both – the protein-based Hapuna and the moisture-based Classic lines. Which works best for you? A trained stylist can help determine whether your hair thirsts for moisture or protein. And if you want optimum shine and healthy hair, knowing this makes all the difference. We feel that your hair is unique, so shouldn’t your shampoo and conditioner be too? But don’t take our words for it. Find out for yourself. Whether you try our Hapuna or Classic line, all our products are formulated with our Hawaiian Protein Flora Complex and Kukui Nut Oil. For centuries, Hawaiians have relied on Kukui Nut Oil’s restorative powers. Cancer centers and hospitals have used this omega-rich emollient to heal burns and other skin problems. Packed with nutrients, Kukui Nut Oil has the same rejuvenating effects on hair by penetrating the follicles without adding weight. Farmavita is an Italian company located in Locate Varesino near Milan and is ten minutes from the international Milan-Malpensa airport. It has beenoperating in the hair professional cosmetic market for 30 years. From the very beginning, Farmavita has been vocated to develop the international market and it is now operating in over 40 countries. Farmavita produces in its own plant equipped with the most modern bleeding and filling machines and develops its products by formulating in its own R&D laboratory. The continuous research, the accurate choice of raw materials, the richness in active ingredients of its formulas and at the same time using the cutting edge technology enable Farmavita to offer a superb range of high quality and innovative products every year,which contribute to raise the professionalism of its Customers.